The Arabella Back-to-Wall features a classic rounded rectangular shape, with sides that rise from the base and fan gracefully outwards. 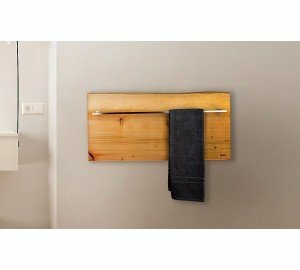 This back-to-wall version of the original Arabella has an added flat lip on one side for easy installation onto any wall in your bathroom. Its one-piece, solid AquateX™ material provides a warm and velvety surface, as well as sufficient heat-retaining and durability qualities. 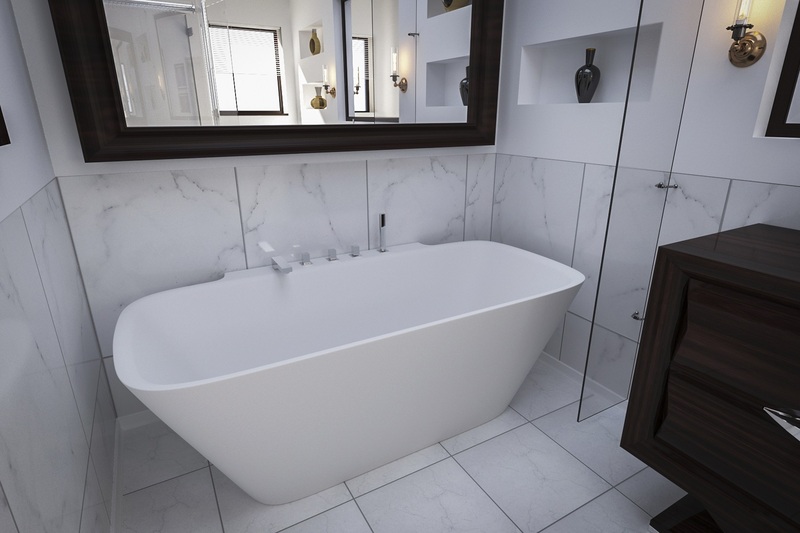 The extra deep design of the Arabella is ideal for full-body soaks, and is conveniently available in a freestanding or corner installation, making it a versatile tub for any bathroom. The striking rectangular design of the Arabella makes maximum use of the interior dimensions to deliver a very spacious-feeling bath for one or two. 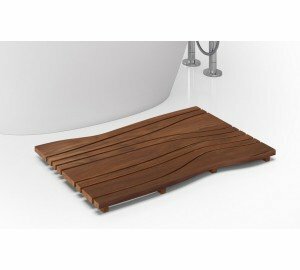 Good length and depth (16.25” / 41.5cm) invite full body soaking, enhanced by the gently sloping walls which provide both support and comfort for the bather. 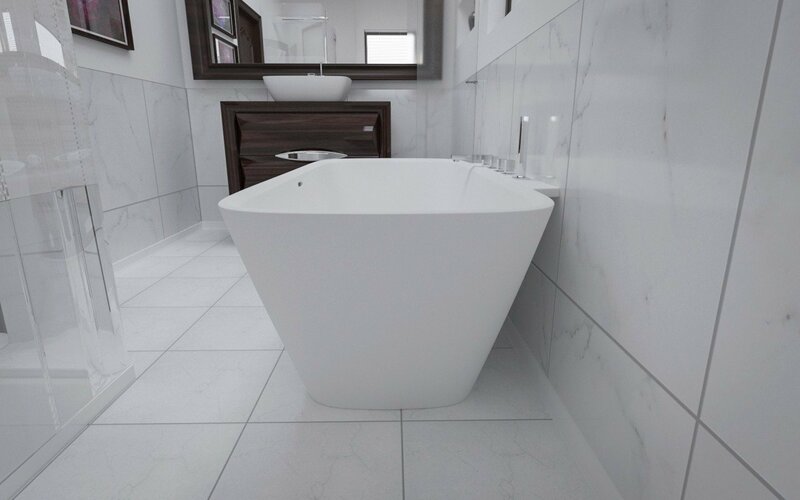 It is the combined design features of this bath’s interior that add up to excellence. 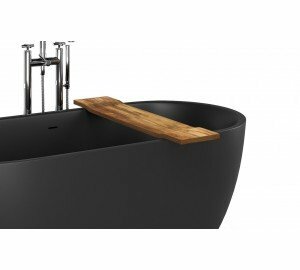 This includes the interior volume for total body emersion, with the gently angled walls for comfort and support and the deeper tub with its high-sided walls for neck and head rest. 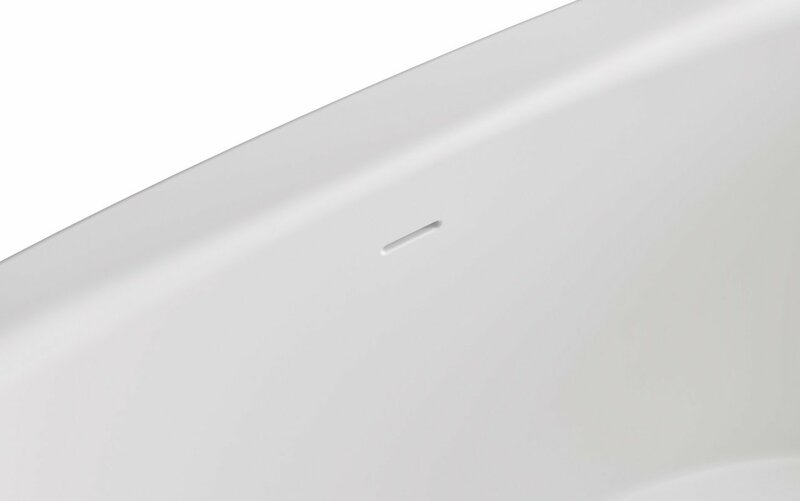 The other singular feature is its extended, integrated back rim for floor-space saving back-to-the-wall installation.